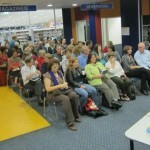 Over eighty-five guests attended Logan North library in South Brisbane, Australia. 85! 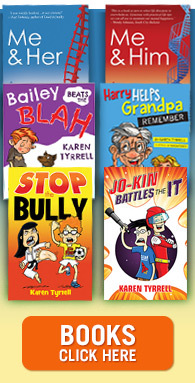 The librarian said it was one of their TOP book launches EVER (trailing closely after Kate Morton’s author talk and Cyclone Yasi’s recent launch). I was unexpectedly surprised! Teachers from my old school waltzed in, keeping their attendance secret until they arrived. Warm tears and smiles overcame me. I’ve come so far along my journey from a harassed stressed-out teacher to a published author. MC and author, Dawn Alice hosted the night’s event with smooth expertise, introducing all the speakers. Mayor Pam Parker delivered a personal introduction and a speech on overcoming bullying and harassment. I delivered my speech on my recovery with humour, so everyone would ‘relax’ hearing about mental illness. It worked! I heard their giggles and caught their smiles. On a sad note, I presented a tribute to my dear friend, Theodora (Doris) Furfaro, a key character in my memoir, who passed away last week … I almost choked on those words. My tears turned into smiles when I gazed at the audience! So many friends, family, teachers, Book Clubbers, Toastmasters, and Writers showed. Their warm embraces and congratulations turned my book launch into an undeniable success. 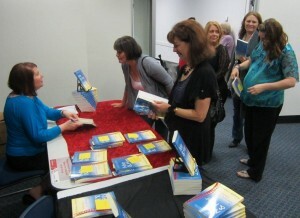 Later, my cramped hand couldn’t keep up with all the book signings! Boy did I need another cloned ME to help out! Or maybe a HER! What a celebration we reveled in! We partied on scrumptious nibblies, sushi, ME & HER cupcakes and chocolate launch cake, chatting with our friends. I’d like to thank ALL those who attended and the well-wishers who sent congratulatory messages. Your support has lifted me up, given me confidence to realize my dream. When’s my next Book Launch? Next Thursday, the 10th May, I’m launching ME & HER: A Memoir of Madness at Black Cat book shop at Paddington at 6pm. Love to see you there! This time there’ll be bottles of bubbly! Please come along and join a celebratory drink with me! a queue at that signing table too. With all the effort you have put in you deserve success. Thanks Juliet for dropping by. Your support means so much to me! Lines of queues all night. 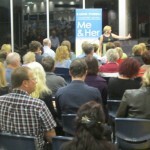 I couldn’t believe how many turned up and how many books I sold! Hi Kaz, I wish you could have been there too. It was an awesome night. Between chatting to people and signing books I was run off my feet… in an amazing GOOD way! Huge congratulations, Karen. 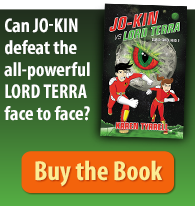 I hope all your launches will be an equal success and the book sells by the truckload. You deserve this, and are an inspiration. Congratulations Karen..your dream is now reality. It was a GREAT night and KT looked FABULOUS! now I just have to kidnap a babysitter so I can attend your brissy launch as well! Thanks Anthony, lOVED the whole Shebang last night!! Strangely I was so calm and manged to crack quite a few jokes. WOW! Steph! Are you really coming to the Black Cat launch too? I can’t believe it! Thanks Steph, glad you liked my cakes! What will I make for The Black Cat Launch. Hard work pays off, Karen. I’m not surprised it was a huge success, congratulations! Only wish I could have been there. Cheers, Marjorie. Thanks Marjorie for supporting me from Adelaide & buying my book. That’s the best support you can give an author! Hi Karen, So sorry I couldn’t make it, but it seems like it was a run away success without me. Go well for the one at Black Cat Books too. Better late than never. I made it before you finished speaking. It was a great turnout and I read a few pages last night. Its a great read. Well done. I am proud to have been your Toastmaster’s mentor all those years ago. Thanks Nicky, I’m so glad you have one of my first copies. Please let me know, what you think! Thanks Marian, I’ve come a long way with my public speaking. Thanks for the mentoring! … Glad you’re enjoying it! Hi Karen, sorry I was out of town and missed seeing you. It looks like you had a terrific attendance. Best wishes for your next stop at Black Cat! Congratulations! Such a terrific start can only bode well for the future. You have worked so hard for this and it takes a lot of courage to write the book you have written. I hope all your launches are as successful. Thanks Dee for your fantastic support !! You’ve put endless effort into your book, your writing, Logan Writers, your writer’s group and your support for mental health, so it was lovely to take part in celebrating your wonderful achievements. It takes bravery to fight stigma, especialy when in packs of the ignoarant, but look how it turned around already. People are good when given the chance, even if they are just uninformed on topics such as this. Not with such books out now. I thought it was on the 10 May at Black Cat thats what my invite says. Sorry i missed it. I’m still fighting stigma but people are becoming more open to discussing it. The launch on this post was the LOGAN one on the 1st of may. You haven’t missed my Brisbane BlackCat launch on the 10th May. Love to see you there. Please click on this link and CLICK on GOING ie the MORE people who go, the MORE people WANT to go! Thanks Stephanie, I can hear the excitement in your voice. 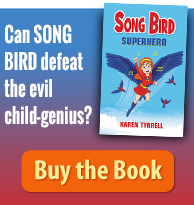 I’ve sold over 100 books in one week via direct sales. I can’t wait till it becomes an eBook! YES, I would definitely publish again this way as I have 100% control where, when and HOW I sell my books. I’ll be announcing more book shops soon. It seems that your feet have not had a chance to touch down after an amazing lift-off. Hi Dawn. 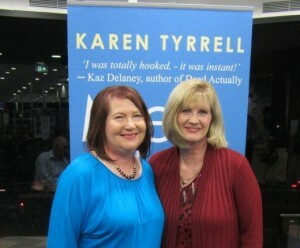 Thanks for being my MC and making my book launch a brilliant success! Huge congratulations, Karen. All your work, commitment and bravery are inspiring. Enjoy every moment. Best wishes, Chris. Thanks Wendy for your awesome support! I was amazed at how many hands went up to! The tide is changing when mental health and illness can be spoken about out loud and not in whispers and slurs. All the very best, you deserve it! with your kind message of support and encouragement.